The Story: An anti-drug enforcement agency stages a massive drug bust in the slums of Manila. 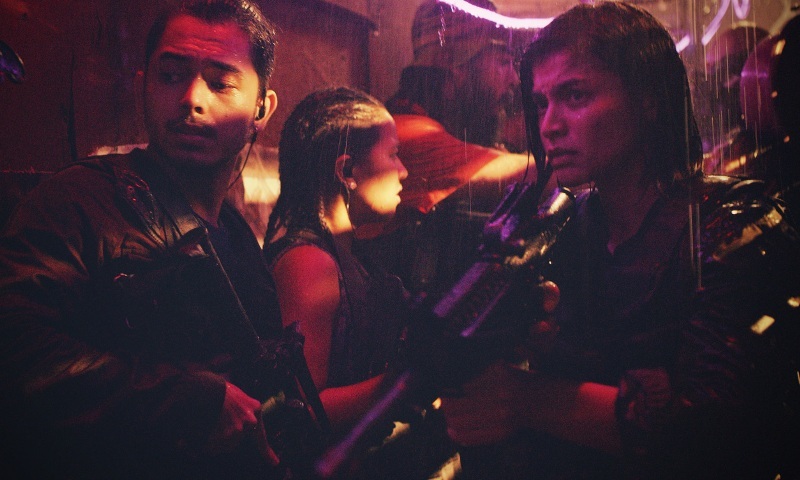 Veteran director Erik Matti throws everything he can into making this an action film of epic proportions. All the bones and architecture are there to make a unique and thrilling spectacle but the execution just wasn't up to par. The fight scenes were very up and down, sometimes looking like bad martial arts training videos and sometimes delivering on some truly amazing fight scenes and stunt work. The movie is solid but its downfall is in its inconsistency and an aesthetic that screams straight to video. When your go to fighting move is to step aside a lunging bad guy and push them to the ground, you're not going to get the literal or visual impact you are looking for. On the flip side of that, there was a ton of stabbing, eye gouging, head smashing, and other varying forms of physical abuse that I was still pleased with the final product. The saving grace of the film was actually the story and the drama which was quite unexpected considering this is supposed to be an all out action festival. The lead character, played by Anne Curtis, has a good backstory that works well with some of the mysteries and eventual reveals. Matti also takes care to let the audience get to know the primary team of agents so by the time the fighting starts, you do care for them as they fight for their lives. 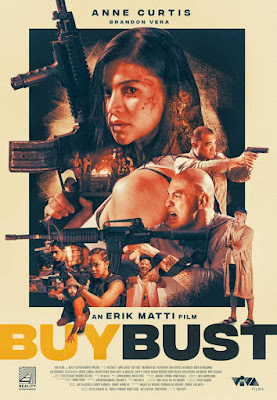 BuyBust is an entertaining yet inconsistent action spectacle that strives for greatness at every turn. I like the characters and the story is solid, but the action and fight scenes leave a lot to be desired. 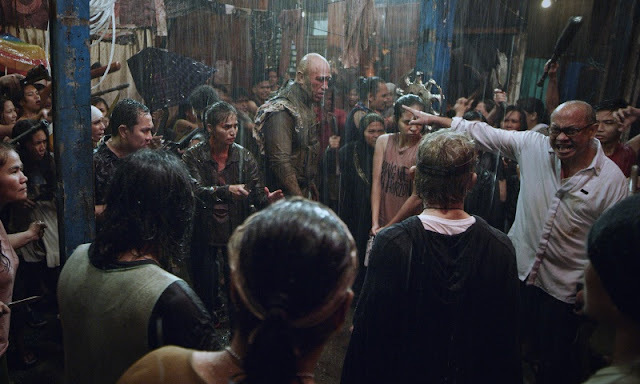 If you're looking for fight choreography on par with The Raid: Redemption or Ong Bak, you will be very disappointed. If you can get past some of the low budget qualities of the production, you will have a good time watching the movie. BuyBust is an official selection of the 2018 New York Asian Film Festival. TwoOhSix.com coverage of NYAFF 2018.